Seasons Greetings and Activities for All! Target word class skills using this colorful holiday theme. Students will be delighted with this activity as they label categories, list items in a given category, sort picture vocabulary into categories, highlight critical attributes of given items, explore similarities and differences of related items, describe given picture vocabulary and more! Santa Claus Categories is a defnite must for your therapy room…great for literacy centers, too! Use “Santa Claus Categories” to support students in a variety of receptive and expressive language skills. This set can be used a stand-alone activity, or can be used as a “launchpad” for higher level skills. Simply remove visual choices or require students to provide additional examples to extend or differentiate the tasks. theme-based stimuli cards can be used with limitless activities…many suggestions are included in this resource set. This activity is the perfect way to target Pragmatic/Social Communication Skills in small, large or whole classroom groups! The holiday “present” theme highlights the unique challenges associated with gift-giving, holiday shopping, seasonal celebrations and more. Discuss social commnunication strategies, themes of friendship, diversity and general safety in public situations with thought-provoking questions that will get students TALKING! Highlights general holiday giving, Christmas, Chanukah (Hannukah) and Kwanzaa. Have you been thinking about creating your own activities, and possibly posting them in your own TeachersPayTeachers store? (If you haven’t ventured over to TeachersPayTeachers, I highly recommend it — an INCREDBLE resource for you…entire unit plans, lesson plans, literacy center activity sets, thematic units and MORE…all created by the people who KNOW about teaching children. 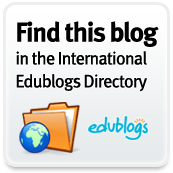 I cannot express to you what a goldmine of credible, effective and affordable resources this site is! Want to find out more about sharing your own resources? GO HERE. Interested in finding out who is selling on TeachersPayTeachers? 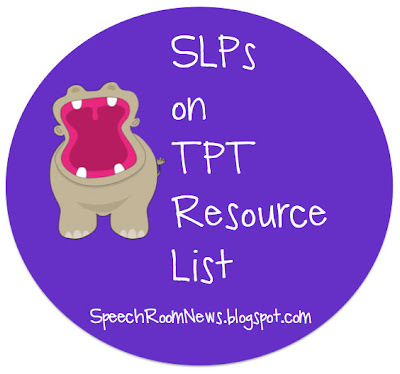 Check out this Resource List from Jenna Rayburn of Speech Room News! THANK YOU for your support, and for visiting LiveSpeakLove! Spooks and Chills, Halloween Thrills! Halloween is one of my favorite times of year! Pumpkins, apple cider, costumes and crafts…there’s nothing like a little spooky fun to thrill students and engage them in their learning. Looking for ways to target a variety of academic and communication goals using a Halloween theme? Look no further! I have so many resources I’ve developed over the years that are tried and true winners. Check out my resources below, and follow the links over to my new TeachersPayTeachers site. Free downloads located at that site as well! If you are looking for activities to target pragmatic language skills, try these Halloween Pragmatic Question Cards…definitely a hit with both students and other teachers! I always incorporate an activity like this into our pre-Halloween lessons and discussions — to target the social pragmatic skills that are often tested this busy time of year, but also to target Halloween safety. I have used this activity to do push-in lessons in the classroom setting, and all of the students in the class participate in very useful discussion generated by these questions. I have students draw the little cards out of a jack-o-lantern bucket, or hide them around the room for students to find while they get some opportunities for movement and kinesthetic learning in their day. The next Halloween activity I have to share is Halloween Word World — an activity targeting /r/ in various positions of the word. This activity would also be great for students learning about /r/ controlled vowels, or for use as a simple seasonal activity. Have fun! Here is a fun make-and-eat activity that my students (and graduate student interns) are STILL talking about, years later…making Spooky Spiders to eat! Target a variety of language skills including following directions, sequencing, sequential and ordinal vocabulary, basic math and literacy concepts and more. AND you get to eat these yummy little spiders!! I use the visual directions to also target comprehension and expression after the activity — summarizing the procedures, retelling the events in sequence using appropriate vocabulary, answering wh questions about the procedures…and then I send the recipe page home for students to make the spiders for their family…instant homework, generalization to the home setting, and very happy, proud little monsters. You may be busy creating your own materials, resources or blog posts, and find yourself in need of some festive clipart. But if you are posting the clipart or distributing the images in any way, you need to make sure you are following the copyright laws. Not sure what to do? Not interested in paying the crazy retail prices for clipart packages or digital scrapbooking content? You may be interested in my latest endeavor — self-made clipart images. I won’t even go into the hours I spent makingthese in Powerpoint…creating each little critter line by line and shape by shape. I’m obviously not a digital image pro, but I think these images turned out pretty cute. And the images are designated for personal, educational and even commercial use. Please link back to my site if you do use these images in any way. I’m quite proud of my little creatures — labors of love, for sure! I hope that you are now in the spooky Halloween spirit! You may have noticed that many (if not most) of my materials are seasonal or holiday-themed. There’s a method to my madness!! If there’s one thing I’ve learned over the past 20 years, it’s that children remember celebrations. Chilchood memories are often tied to holidays, vacations and school events. We are all wired to remember the extraordinary. So, why not make learning FUN and enjoyable? Even celebratory?? You can accomplish the same goals, cover the same material and reach the hearts and minds of children the same way — if not better- than with traditional classroom activities. Children remember celebrations…and they will likely remember YOU as well.